One of the biggest hurdles of the home buying process is coming up with the funds for the down payment. Many lenders still want a down payment of at least 20 percent, which can be difficult for low- to middle-income homebuyers. While you may be able to put down less than 20 percent with a conventional loan, there are consequences such as the requirement of getting private mortgage insurance (PMI). A down payment assistance loan makes it possible for an individual who does not have the funds to put down money on a home to become a homeowner. If you lack the funds needed to put a down payment on a home, you may want to consider borrowing the money. Known as a down payment assistance loan, eligible homeowners have the opportunity to borrow up to a certain amount to cover the partial or total cost of their down payment. These loans may or may not be interest-free and the loan may be structured as a silent, second mortgage to be repaid after the first mortgage is paid off or when the house is sold. 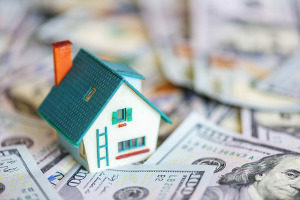 Homeowners will typically receive between $5,000 and $20,000 towards their down payment, but this number can go as high as $100,000 in high-cost areas. Who Is an Ideal Candidate for Down Payment Assistance? If you are in need of funding for a down payment on a home, you may be a good candidate for a down payment assistance loan. However, not all homeowners are eligible. Depending on your financial standing, your lender may require you to put down a certain amount to secure a loan. If you do not have the required amount, you may think that your dreams of becoming a homeowner are over. However, with a down payment assistance loan, you can get the funds you need to qualify for a home loan. What are the Requirements for Obtaining the Loan? 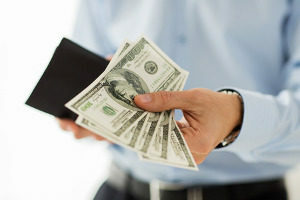 Proof of Income: One of the first things you will need to apply for a down payment assistance loan is proof of income. To be eligible, you will need to meet certain income requirements. In addition to factoring in how much you make at your job, the lender will also look at your employment history and how long you have worked at your current job. If you work for an employer, you will need to bring in your W2s. If you are self-employment, you can show proof of income through your tax returns. 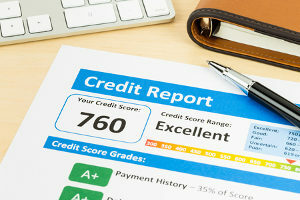 Creditworthiness: The lender will look at a variety of factors pertaining to your creditworthiness, such as your credit score, credit history, and your debt-to-income ratio. A low credit score or too much debt could keep you from an approval. Before applying for a down payment assistance loan, be sure to carefully check over your credit report and resolve any mistakes or problems. Housing Costs: Your total monthly housing costs compared to your total monthly income may be considered when applying for a down payment assistance loan. To streamline the process, write down all of your monthly obligations as this information may be used to determine your eligibility. Are There Other Ways to Get Down Payment Assistance? Down payment assistance loans are not for everyone. If you do not qualify for this type of loan, you may be seeking alternative options. Fortunately, there are several ways to secure funding for a down payment including grants, tax credits, and first time home buyers programs. You can find these opportunities in a variety of places, such as through your employer, state housing finance agencies (HFA), housing authorities, non-profits, or through programs offered by your city or county. While some have specific requirements such as being a first time home buyer, others have broader conditions. 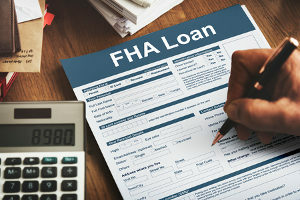 The federal government may provide assistance to low- and moderate-income homebuyers through the Federal Housing Administration (FHA). When a mortgage is FHA-insured, lenders require just 3.5 percent down versus the usual 20 percent. However, applicants typically have to have a credit score of 620 or higher to qualify and the upfront costs may be higher. You may also want to consider seeking down payment funds from programs such as the Department of Treasury or Housing and Urban Development (HUD). Military veterans may also qualify for affordable housing programs through the Department of Veterans Affairs (VA). Why Should You Contact a Local Mortgage Broker? If you need down payment assistance, one of the first things you want to do is speak with a local mortgage broker. Not only can mortgage brokers provide information about down payment assistance loans, they can also offer alternative options such as grants and first time home buyers programs in your area. While a mortgage broker cannot approve a loan, they can provide valuable information and connect you with the right lender. As a middleman between the lender and the borrower, mortgage brokers can negotiate a loan on your behalf and complete all the legwork when researching options. There are many advantages to using a mortgage broker for both your home loan and down payment assistance loan. Mortgage brokers remain in close contact with a variety of lenders, many of whom you may not know about. Your mortgage broker can also provide tools and resources that allow you to compare rates easily, ensuring that you get the best deal possible based on your unique level of eligibility. Want to learn more about down payment assistance loans or alternative loan assistance programs? Contact the experts at Fairfax Mortgage Investments in Fairfax, VA.